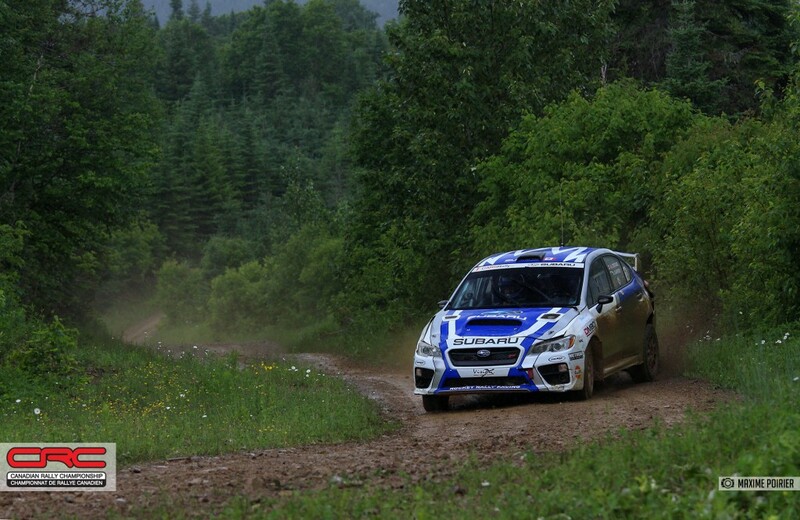 Joel Levac and Stephanie Lewis earned their second-ever victory at a round of the Canadian Rally Championship, taking top honours at the 2016 Rallye Baie des Chaleurs, in New Richmond, Quebec. The team took over the lead early on the first day and charged through the remainder of the competition in first place. The team is especially happy with the result following last month’s frustrating Rocky Mountain Rally. The pair crashed out of the event and had only a few weeks to make repairs in order to compete in New Richmond. 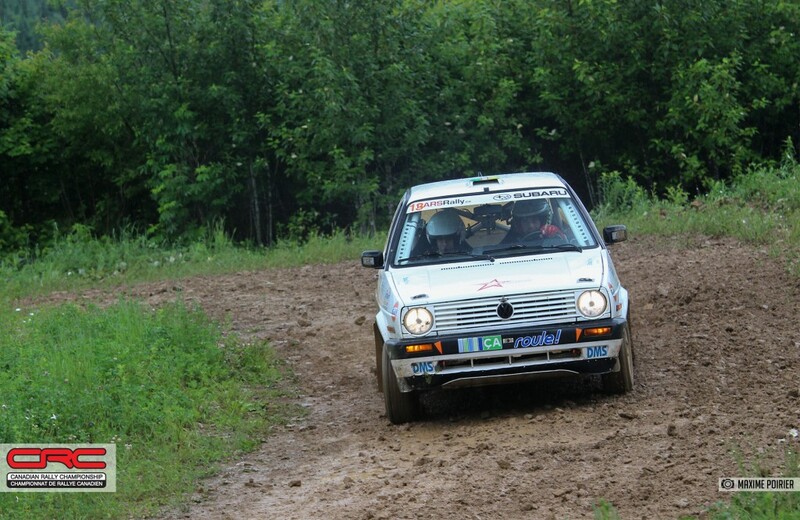 For brothers André and René Leblanc, the rally was a dream come true. The pair live in New Richmond, and despite having run this event many times before, they had never done so well as on this weekend. 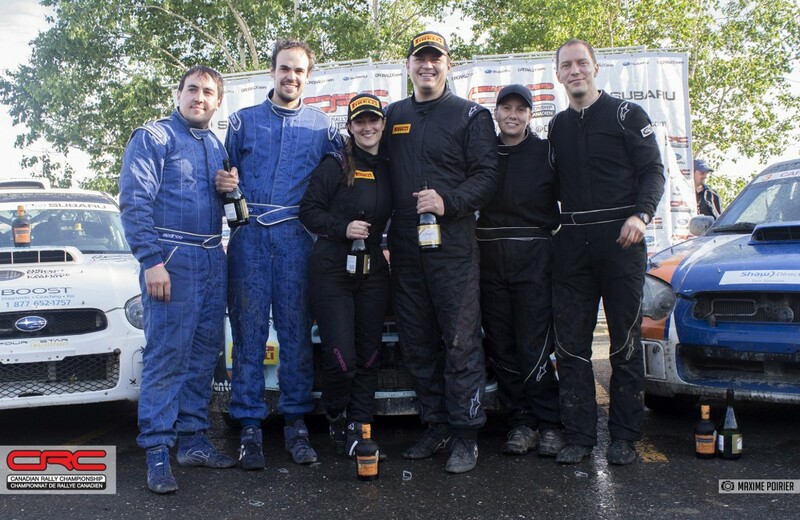 With a well built car, and local knowledge, the team finished second overall, their first podium finish at a national rally. The team is also the first local team to finish on the podium in recent memory. When the pair were called to the podium celebration, the crowd cheered for the team who are clearly hometown heroes this weekend. Maxime Labrie was consistently fast to finish third overall, and retain his lead in the championship standings. Co-driven by his wife Anick Barrette, the pair overcame the difficult conditions and despite problems of their own, secured a strong result. 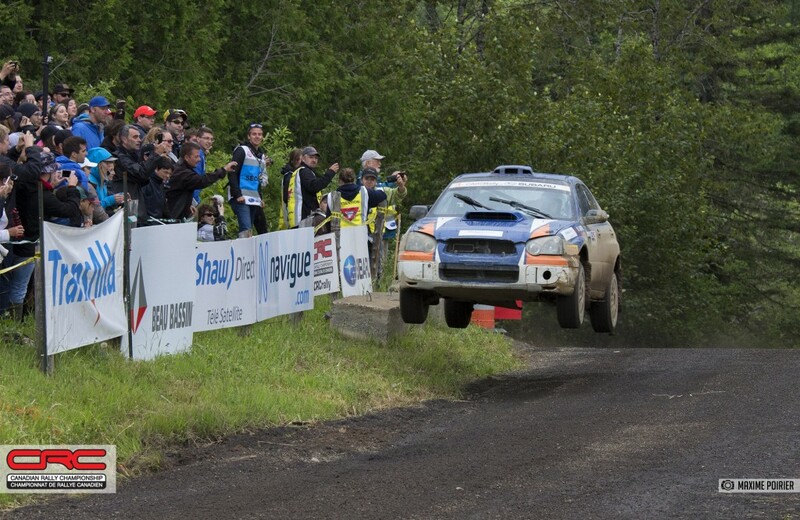 Long-time Canadian rally favourite, Antoine L’Estage suffered a frustrating start to the event. On stage two, he and co-driver Darren Garrod rolled the car off the road. 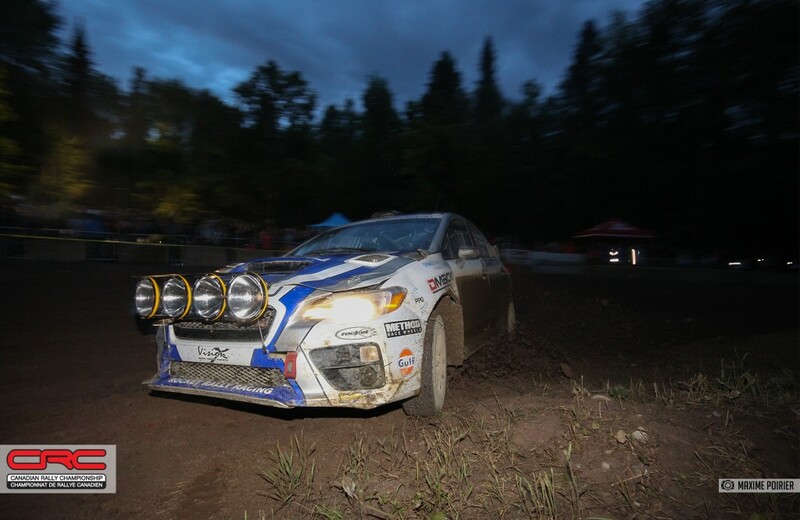 Although Subaru Rally Team Canada were able to make repairs and restart later in the event, they were assessed 30 minutes in restart penalties, dropping well out of contention for much needed championship points. Setting a blistering pace and winning stages, the team charged hard in an attempt to get into the top ten to earn championship points, but finished 15th overall. 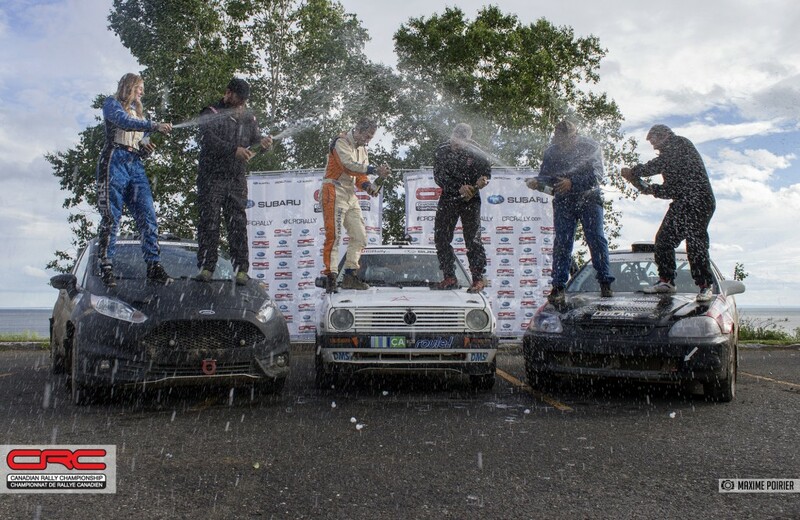 Simon Dubé and Aaron Crescenti won the two wheel drive class in commanding fashion by a margin of nearly four minutes. However, the result did not come easy. Dubé had been very busy making repairs to the car before arriving in New Richmond, and was clearly tired throughout the competition. Second in class went to Dave Wallingford and Leanne Junnila. American Wallingford is new to rally, and 2016 is his first season. He also has limited experience with notes, but has shown he’s a capable competitor. 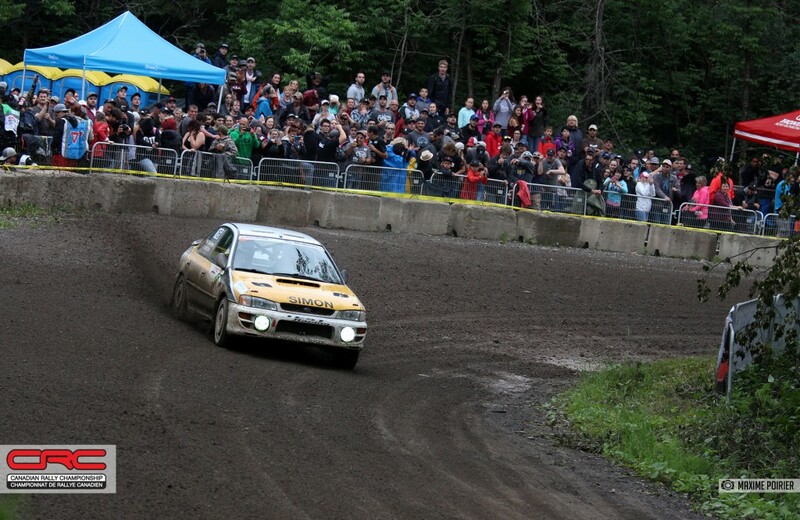 Third place in two wheel drive went to another local team, Mathieu Leblanc and Alex-Samuel Litalien-Leblanc. The two moved into a podium position on the first day of racing and were able to hold off their rivals to keep the podium position. 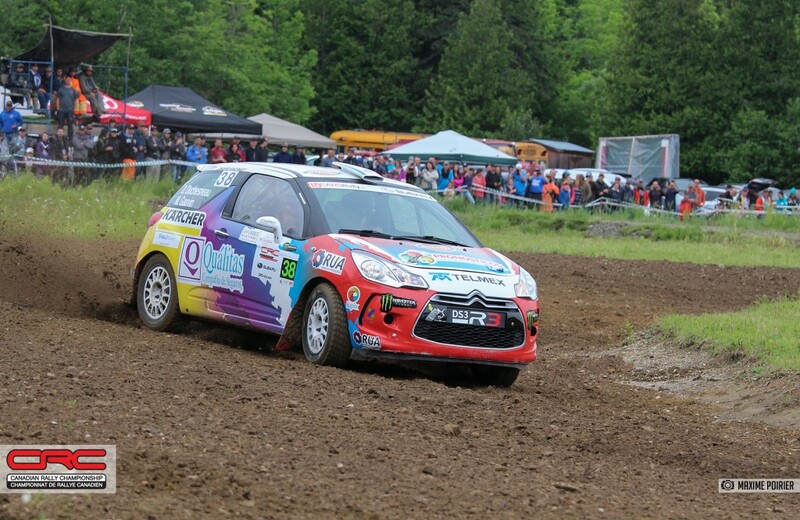 After Saturday’s wet and muddy stages, teams and spectators were relieved to see less rain on Sunday, and some wind and sun to help dry out the road surface on the second day of competition. While open areas of road dried out to offer better grip, tree covered sections of the course remained wet and muddy, demanding that drivers stay vigilant to avoid crashing. 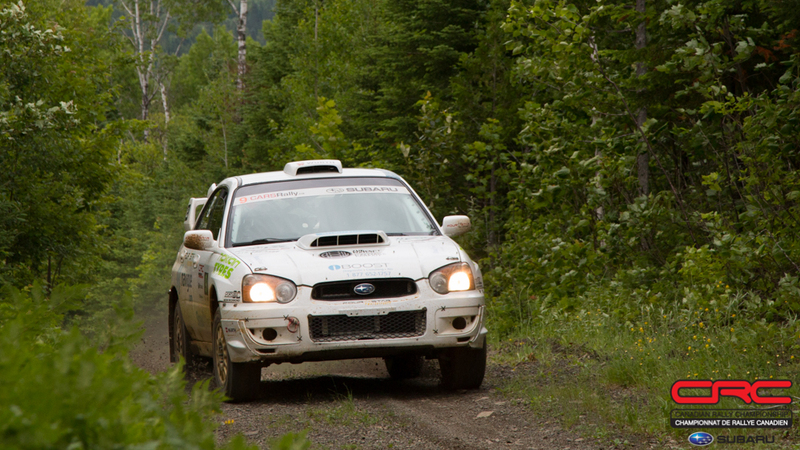 The Canadian Rally Championship continues with the fourth event of the 2016 season in September. 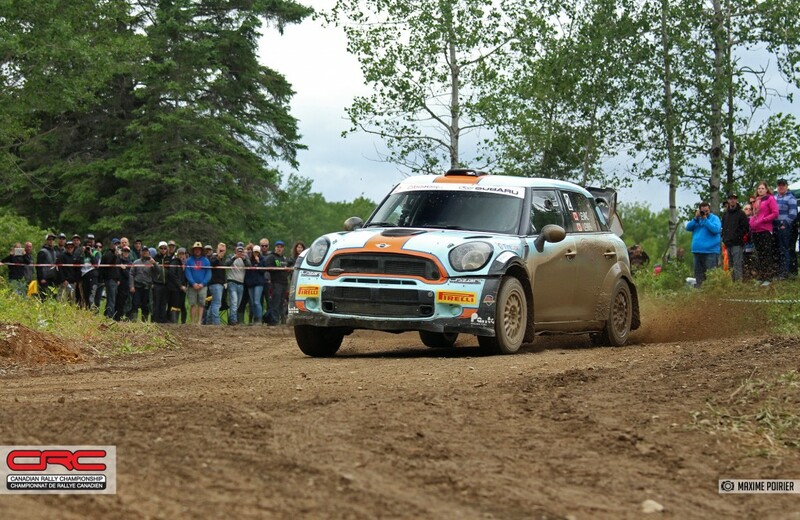 The Rallye Défi, held in Montpellier, Quebec, September 8-10. 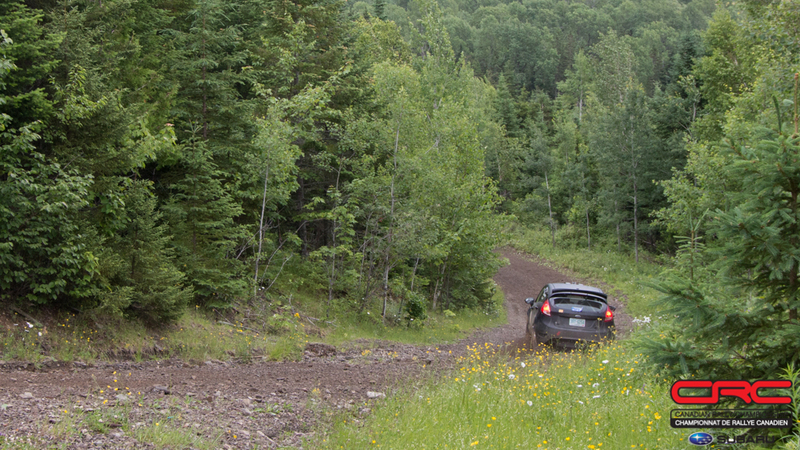 The Rallye Défi has a reputation for rough roads and short sprint style stages.